Feeling crafty? How about a little DIY cat entertainment? 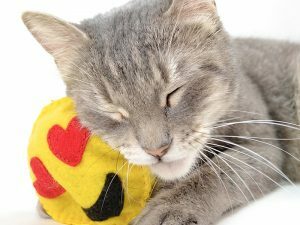 Homemade cat toys are an inexpensive, creative way to keep your cat amused—and they can be way better than anything you buy in a store! 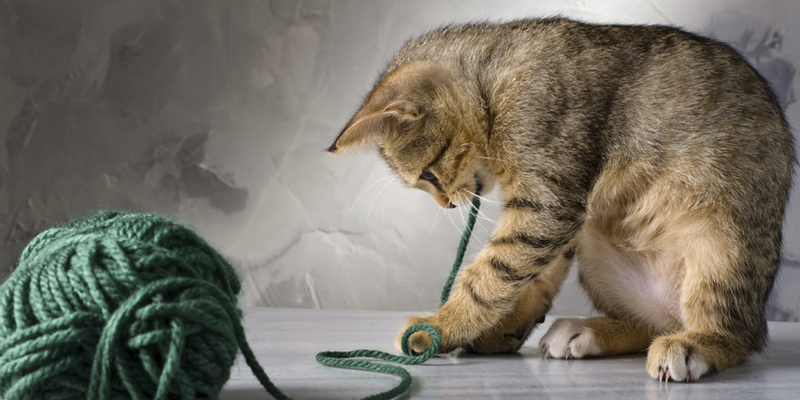 We put together a list of the 10 best DIY cat toys you can make at home from around the web. 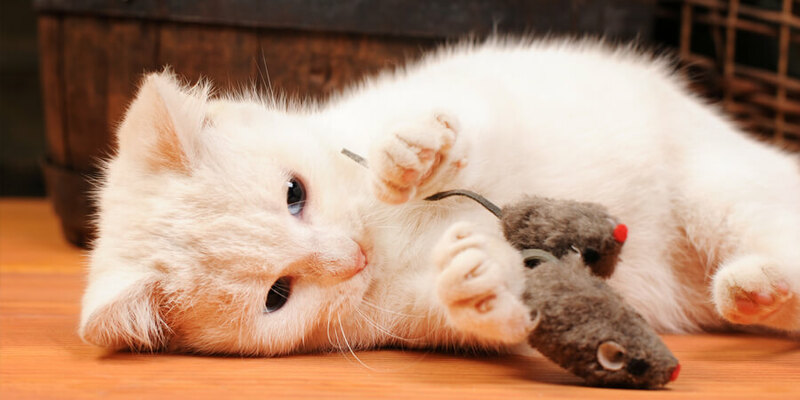 In no particular order, here are 10 easy DIY cat toys you can make from household items. The classic yarn ball, reimagined. 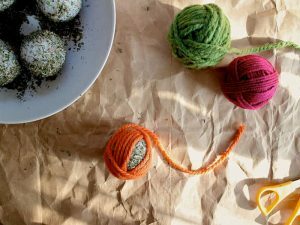 Now you can create a yarn ball that won’t unravel and that’s infused with catnip to keep your cat transfixed! 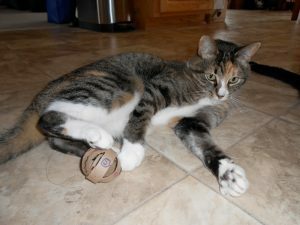 All you need is glue, catnip, yarn, and Styrofoam balls to create these irresistible homemade cat toys. See the tutorial. 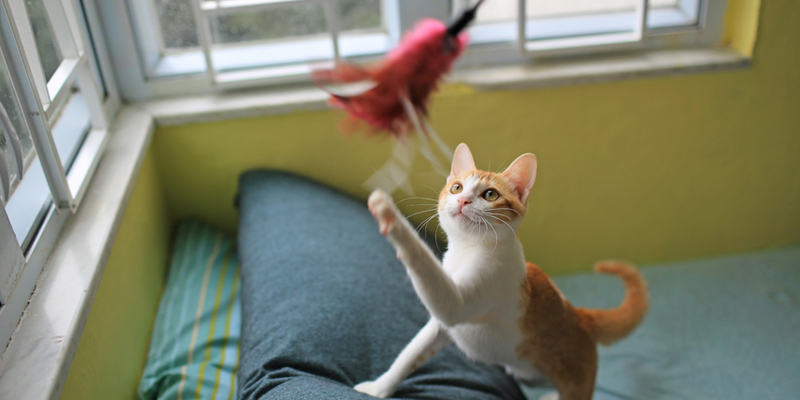 Don’t toss the tubes from your toilet paper rolls – save them to repurpose as cat toys! 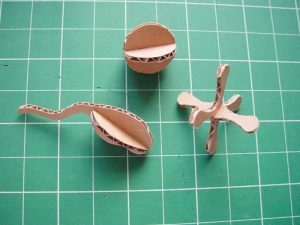 Use toilet paper rolls, a hot glue gun and your cat’s favorite treats to create anything from a cool sphere to a rattle or treat puzzle. Find out how. 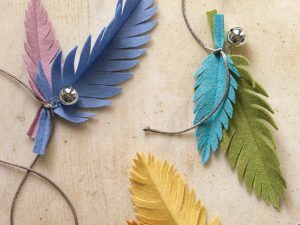 For a more elegant craft – try making these felt feathers with bells attached. And if your cat isn’t a fan, they’re beautiful enough to use as décor! Make your own. Have an extra soda or cardboard box laying around? Turn it into a whack-a-mole game for your cat! 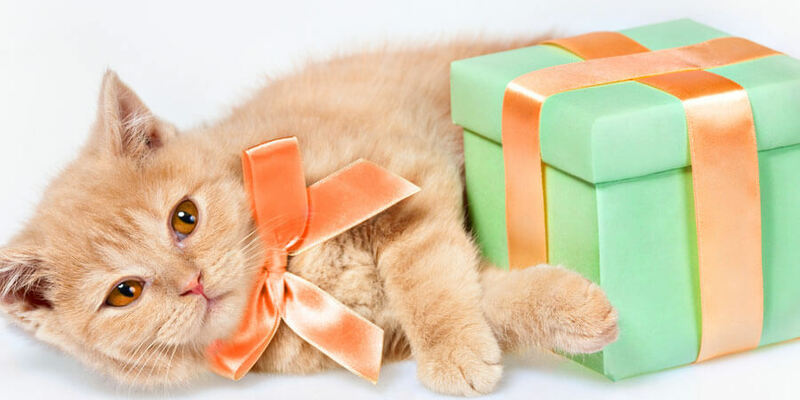 Just a few added craft supplies and you’ll have the perfect toy for some DIY cat enrichment. Here’s how. Finally, a use for all those lone socks who’ve lost their mates. 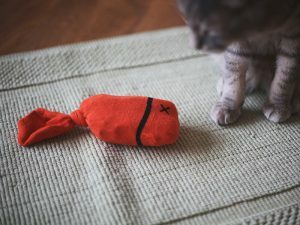 Your cat will flip for these crinkly fish sock toys! Get DIYing. Take your cat’s love of a good cardboard box to the next level by using one to create the ultimate cardboard cat house. Add extra boxes to make it multiple stories! See the tutorial. 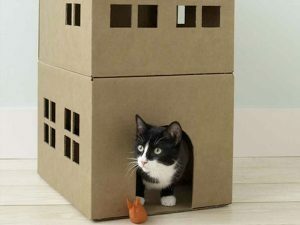 These fun toys combine two cat classics—mice and cardboard. Just download the template, break out the cardboard and scissors, and voila! Hours of cat entertainment. Get the template. 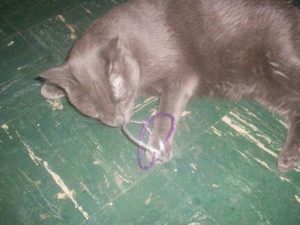 This pipe cleaner cat toy is so simple, your kids can make it! All you need are a few pipe cleaners—the shinier the better—and your cat will be entertained for hours. Learn how. Looking for something softer? Try these fun emoji cat toys you can make out of felt! Fill these expressive toys with catnip to really get your furry friend going. Check it out. 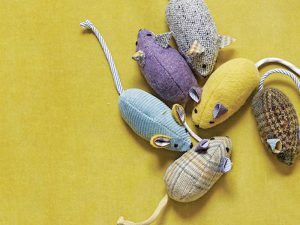 When it comes to the best things you can make for your cat at home, this adorable mouse toy may take the cake—it’s a classic. It’s the perfect use for all those old shirts and suit jackets that don’t fit anymore! Check it out. We hope these homemade cat toys get your creative juices flowing. We’d love to see the fruits of your labor! 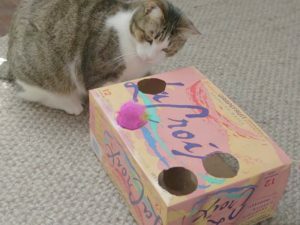 Post your own homemade cat toys on the World’s Best Cat Litter™ Facebook page or share your creations with us on Pinterest or Twitter! Looking for tips on how to make your own DIY cat furniture? Here are tips and advice on seven of the best Do-It-Yourself cat furniture projects out there. You’ll love crafting these homemade cat creations, and your cats will love you for it!